Some would say that traveling with a dog is impossible. We think that it is completely the opposite. Dogs are more than capable of being great travel buddies bedsides only being your best friends. It is true that there are some difficulties that you will need to face along the way, but what relationship isn’t difficult? If you manage to overcome all the faults and problems that come along the way, you may end up having the best vacation ever with your best furry friend. Most people regard getting a dog as a time of your life when you are starting to get serious and deciding to settle down. Since most dogs are nog fond of moving and enjoy staying in one place, a lot of people do not even attempt to go on trips once they have a dog. A lot of them decide to leave their dogs behind and put them in the shelter for the time being or with a friend. But that does not always have to be the case. Most dogs have a deeply rooted connection with their masters, so they will feel sad if they are left behind. Most people do not like being separated form their favorite pets as well, so bringing them along remains the only option. Now when we have finally decided that we are definitely going to bring our dog with us, time to see what important factors we need to regard at first. 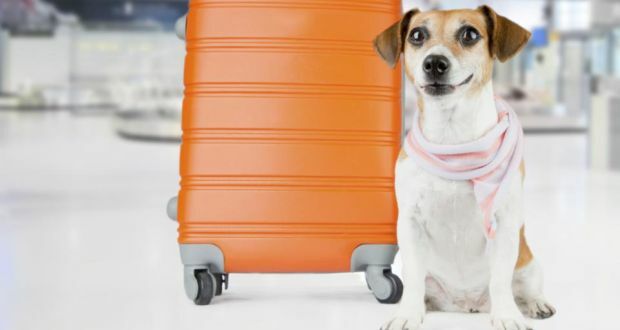 Some things that you need to think about before embarking on a trip are health hazards, safety while traveling, the wellbeing of your dog and feeding the dog. But you also have to consider some things when you get there. The problems do not only end when the ride to the area is finished. There is still a whole lot that you have to think about when you actually get there and need to make the same, or at least similar, living conditions to your pet. They do not like changes so much so if you make sure that the living conditions are similar to those back home as possible and that you provide the same habits that they are used to, they will have the time of their lives and so will you. Here are some indebt tips for when traveling with your dog. This is the first and probably most important step. You need to think really well about where you are going to travel to and if you should take your dog with. But we already decided that the dog is coming so you need to adapt to the location. The most important thing to consider here is the dog’s health and the way they adapt to different climates. Dogs are highly adaptable animals, but it is not worth adapting it to a completely new climate just for one short trip. So the best way would be to decide to a similar climate of your hometown. An Airdale Terrier’ health will be affected if you go to a warmer climate the same way as with a Chihuahua if you decide to take it to a much colder area. But of you really want to go and experience a different place, completely different from your home, there are still ways to do that. But you have consider taking some equipment and accessories for your dog. In colder climates you can bring doggy coats and jackets as well as equipping it with some boots and warm shoes. Your dog will appreciate the gesture and will feel well. The same goes for the opposite and in hotter climates you can bring cool down jackets and shoes. The shoes are probably the most important part as the ground can get really hot and make it really uncomfortable for your pet. But probably the best way to help your dog adapt is to allow it from early on to get used to travel. Since dogs are mostly tied to one place and hate changing locations, you can allow it to feel the change once you get it. Take your dog everywhere you go with you from early age. The puppy will that way get used to changing places often and will not feel homesick or insecure when you take it on a trip. If you are a person who likes travel too much and animals at the same time, this could serve as a long term solution. After deciding where to go, you have to think about the regulations of the country. All countries have different kinds of regulations so you will have to research them based on the place you are going. This means that most dogs will need to be vaccinated or that they need to be micro chipped in order to be allowed entrance in the country. This is the case with most countries in Europe, so if you do decide to bring your dog with make sure that you study on the regulations needed. You may need to get some papers and permits and you can easily get all of them. Most countries have an established set of requirements neatly laid out of you. But there are some places that you will have to dig deeper to find the necessary set of rules that you have to follow. Nevertheless, this is an important part and you really have to take it seriously because most customs are adamant about letting new species into their ecosystem. This is specifically important for countries like Australia. If you do not meet the requirements, they will not allow the entrance to your pet, and we certainly don’t want that, do we? Next comes the part with transportation. Deciding how to travel here is not going to be based on your needs but based on your dog’s needs. The trick here is to make sure that your dog gets as little stress as possible. There are various ways to travel: by plane, by ship, by train or car. All of these are possibilities that you have to consider and all of them will be quite troublesome for your dog. All of them, except traveling with your car, will also require you to address some regulations and spend added amounts of money. If you travel by plane or ship, regulations are similar. There are ways to take your dog with you and you can either put it in the cargo area with the other dogs or take it with you in the cabin. But it mostly depends on the size of the dog. Bigger dogs are not allowed in the cabin and will need to be put in the cargo area. Smaller dogs are allowed but you still cannot let them out of the container for the entirety of the trip. There are going to be some added fees either way and you might also consider sedating your dog during the trip. Make sure to put some of its favorite toys with it to make the trip more bearable. This geos both for traveling by plane and boat. And the best tip here would to choose the form of transportation which would require the least amount of time. Traveling by train is a bit more bearable. It is not as stressful to the dog as when traveling by boat or plane. If you have already gotten your dog used to traveling via car, it will not take too much to adapt it to a train ride. But you have to go through similar regulation like when traveling on a plane or boat. Most of the requirements and needs are pretty much the same but will ensure that your dog has a fine trip. But if you are going by car, this will probably be the best and easiest way for your dog to travel. Most dogs are rarely used to taking trips to the store with their owners, so they just have to go through a longer trip this time. You should make sure to entertain them along the trip and your kids can do that while you drive. Make sure to make frequent breaks for the dog to go to the bathroom and simply to stretch their legs a bit. Give them treats to make it easier for them, but not too much as you will end up making more toilet breaks than you have originally planned. The equipment and accessories that you need to bring will depend on the way you travel and also on the necessary regulations. Depending on how you decide to go about this, you will need to prepare a container for your dog. Most planes only accept specific kinds of crates which depend on the size of the dog and which need to be well ventilated. This will also require some research or you can simply ask around about it. When it comes to going overseas or to a different country, you should have the full set of papers prepared. This will confirm the health of your dog. To help the dog be much more comfortable during the trip, you should bring its toys. Either way, the dogs will feel at ease if they have something familiar in hand. Their favorite chewing toy is the best way to go as it will keep them entertained and keep their minds away from the trip. This is partially useful if your dog is locked in a crate in the cargo area but it works equally well if the dog is with you in the car. The less stressed your dog is the better your trip will be. Now comes the part of prepping your dog. This will require you to gather up all the things previous mentioned. Make a list of all the important things that we have discussed and make sure to pack them in advanced. The papers and the documents will probably be the most important part of it all. But what you also need to do before you leave is to take your dog to the vet and get it checked out. A lot of people tend to disregard this fact but it is more important than you think. You really don’t want problems with a sick dog on your trip. Taking your dog to a regular check up with your vet will do it good. You can also get the necessary papers then if they are required. More importantly, your vet will give you some health advice that you can follow concerning your dog. If you are going to a drastically different area than your own, following the advice that the vet can give you will be pretty good for you. Once you determine your dog is good to go, you can start packing. The final part may also be the most important part for some dogs. First of all, you will also need to ask around and check about the pet policy that hotels have. Once you determine that the place you plan to stay in has all the accommodations for your pet you are safe to bring it along. Some places have specific rules when it comes to dogs so better avoid the inconvenience and make sure to check everything in advance. So when you come to the place and you are all settled down you have to make sure that the dog is also set. The best way they function is getting to know the area. First introduce the dog to the room that you are going to be staying in and the place where the dog is going to sleep. Once they get over the initial shock then it is time to make things bigger for them. Take a walk with your dog around the neighborhood. That way the dog will get acclimated more and will easily start to understand the change and will get used to it. You can walk the dog as frequently as you can and also make sure to provide it with similar conditions and habits that the dog has back home. Many ski experts believe that the Rocky Mountains of Colorado have recently become even more popular than the famous European resorts. 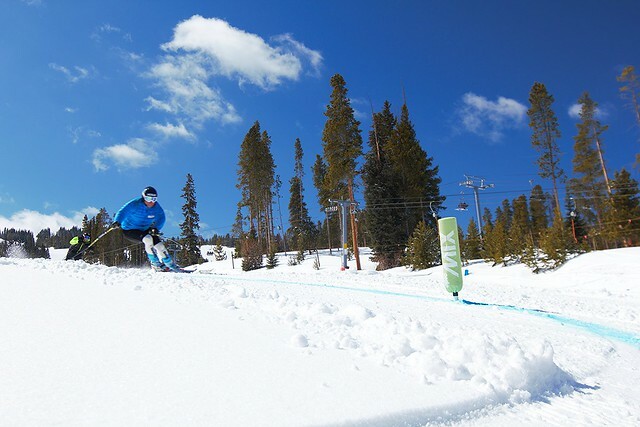 The level of development of winter sports in the United States is indicated by the fact that the country hosted the Winter Olympic Games four times – the record that hasn’t yet been beaten. However, Colorado is something special even for the United States. Aspen is considered to be the most prestigious ski resort in the United States – it consists of four isolated skiing areas. The Buttermilk and Snowmass ski areas include ski trails for beginners and intermediate-level skiers. By the way, Snowmass features the largest height difference in the Rocky Mountains, which is 1,343 meters. Other skiing areas are Aspen Highlands and Aspen Mountain – these trails are excellent for experienced skiers and professionals. The spirit of history and modernity were mixed in Aspen. In addition to the developed skiing segment, winter sports and outdoor activities, you will be offered excellent shopping, art galleries, fitness centers and SPA salons, nightclubs and restaurants for any taste. The city provides a special charm with a light touch of the Victorian era, which is complemented by the amazingly beautiful landscapes of the surrounding area. 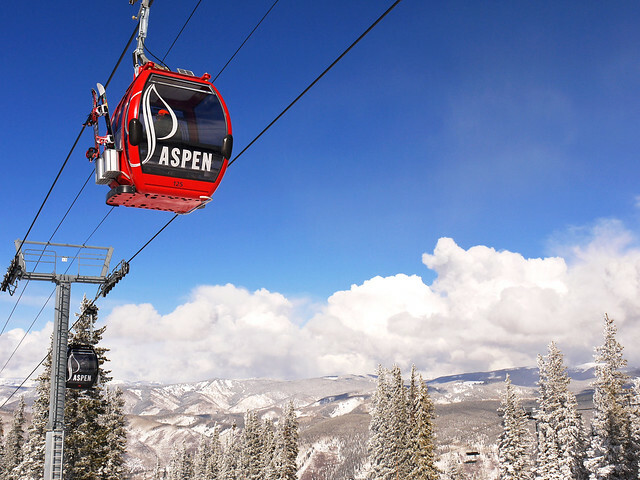 The nearest large transport hub to Aspen is Denver International Airport located about 180 miles away. Thus, you will not have any hassles with getting to Aspen from there, because many car rental agencies at Denver Airport offer car hire. Of course, it’s the quickest and the most convenient way of traveling to ski resorts of Colorado. The neighboring Vail Valley is one of the top five ski resorts in the world and includes four nearby towns: Vail, Beaver Creek, Breckenridge and Keystone. 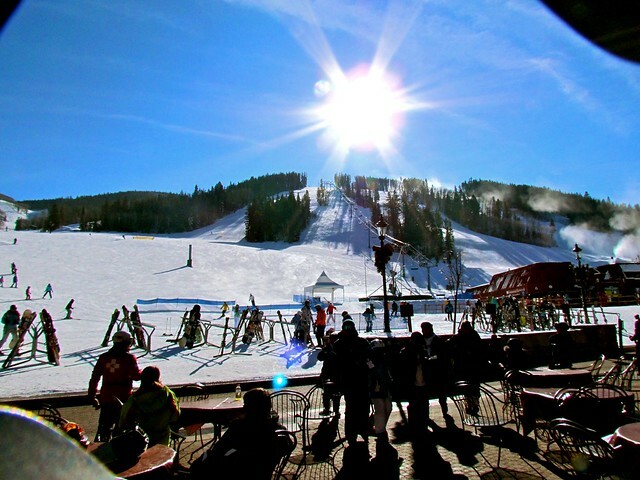 Vail Resort is the largest ski resort in the US occupying the area of ​​more than five thousand acres. Despite its bohemianism and pretentiousness, it’s at the same time considered to be one of the most democratic resorts in terms of pricing policy. Founded in 1962, with a central part built in Tyrolean style, today Vail is a huge complex, which is capable to accommodate over 32,000 people at once. Speaking of nearby facilities, you’ll be offered more than a hundred restaurants of the most diverse cuisine, over two hundred shops and boutiques where you can buy everything from ethnic Indian souvenirs to clothing of world-famous brands. Also, there’s a well-developed leisure and entertainment industry presented with museums, art galleries, and SPA-centers. In addition to skiing tracks of different levels of complexity – from tracks for children to professional ski slopes, and a wide variety of winter sports, you can enjoy hiking in snowshoes or dog sledging in Vail, as well as snowmobiling, horse riding, and even ballooning. Beaver Creek is a luxurious ski resort, built in the spirit of an alpine village. Initially created for the 1967 Winter Olympics, it was not chosen by the International Olympic Committee, but it became an excellent relaxing place both for the fans of skiing and for those who prefer a more peaceful winter pastime. Today, Beaver Creek features a well-developed infrastructure, which is not inferior to Vail resort. All ski trails – from training slopes for beginners to 13 super-complicated Talons Challenger’s trails for professionals, begin literally at the doorstep of hotels, and are considered to be one of the best in North America. Children can be trained in mountain skiing and snowboarding in a specially equipped area at the foot of the mountain peak. There’s an amusement park with an Indian village and a bear’s dolphin. The highlight of Beaver Creek is Birds of Prey – a ski slope that is included in the top three most difficult routes in the world. Thanks to the early start of the season in the Rockies, many famous sportsmen often come here to train. So, if you are looking for a road to a fairy tale in terms of skiing, then it lies across the Rocky Mountains of Colorado. The skiing season starts at the end of November and lasts until mid-April. The average temperature of the winter months is -5°C, and March-April is 0°C. In fact, there is no ‘low season’ in Colorado. Snow falls in October and lies until May, therefore the opening of the skiing season takes place in such a way as to provide visitors with the most comfortable conditions for skiing.